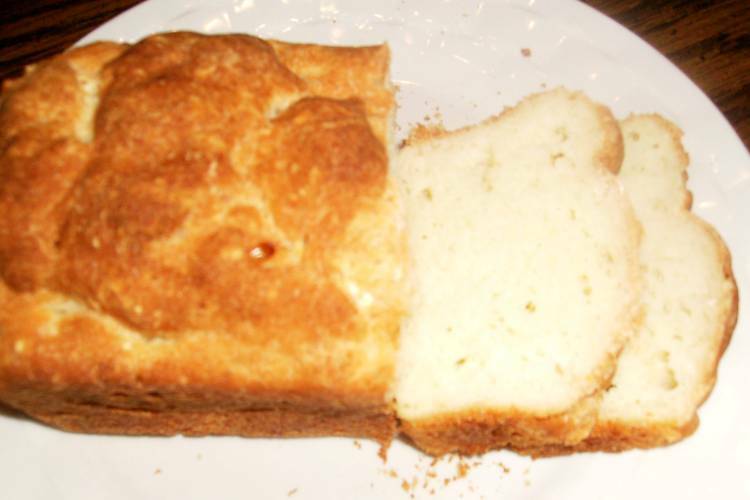 The first thing I learned about making gluten free bread is that I needed to set aside everything I ever learned about conventional bread making and take on a whole new mind set. The next thing I learned is that there are dozens of ways to fail at making gluten free bread. 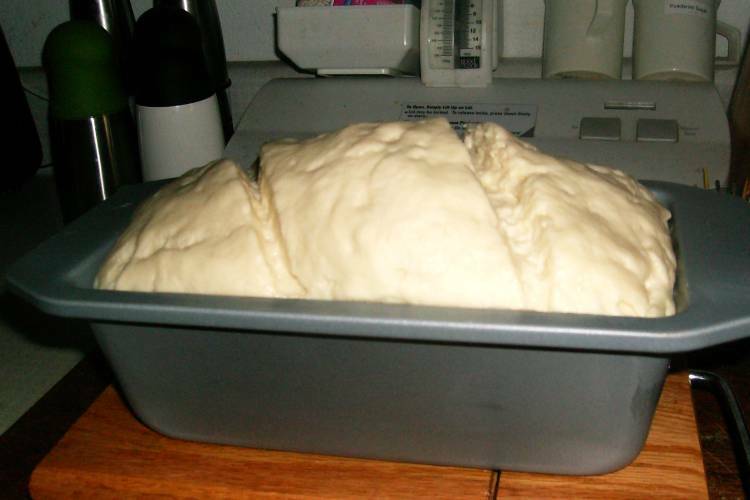 It’s important to remember that gluten free bread does not start out as a dough, but as a batter, so you must take care not to over fill your bread pan. 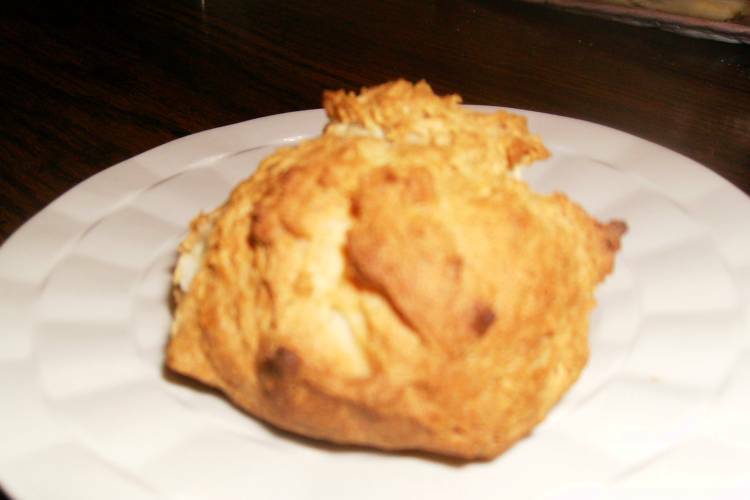 The batter has a similar texture to cream puffs. 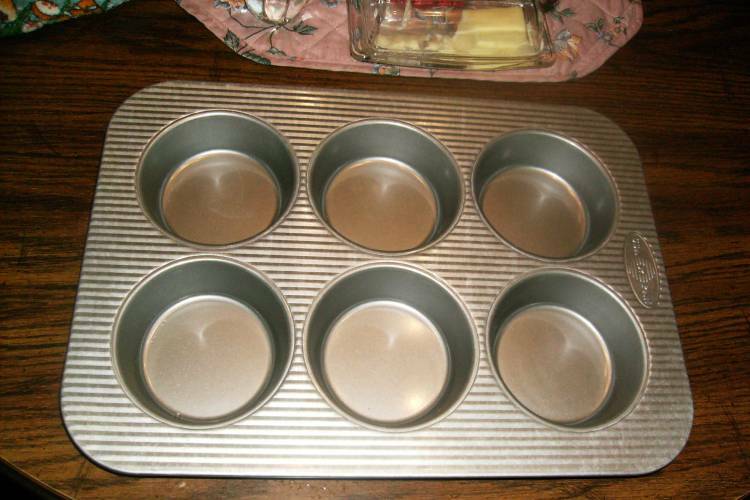 Also, even though I detest metal baking dishes I had to purchase a 9x5x3 inch coated steel bread pan as I could never get the internal temperature of the loaf to 210 degrees, which is what is required to keep the loaf from deflating after removing it from the oven. As with all my recipes, when I find ways to improve them, I will edit my posts to reflect these minor changes. They are always a work in progress. I guess that makes me a bit of a mad kitchen chemist. In large bowl, sift together all dry ingredients except yeast. Proof the water, sugar and yeast in a large liquid measuring cup. Mix eggs, oil and lemon juice in small bowl. Combine all and mix well. 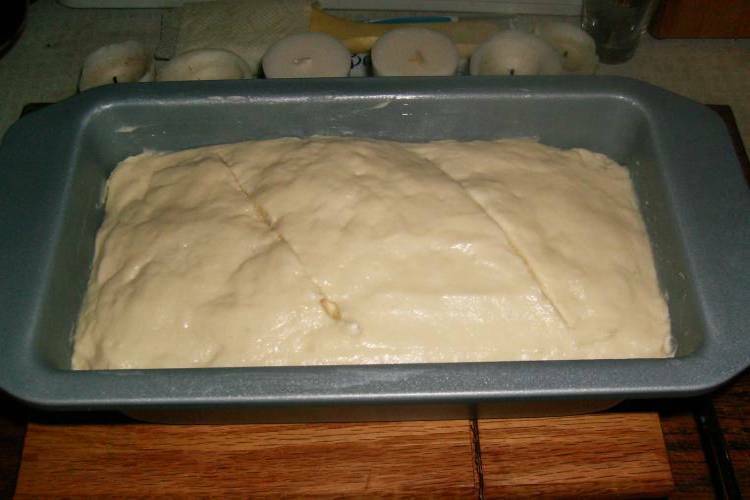 Use cold water on your hands to pat batter into place in greased metal 9x5x3 inch bread pan and let rise until bread crests the top of pan. Bake in preheated 400 degree oven for approximately 45 – 50 minutes (times vary depending on pan size) until the internal temperature reaches 210 degrees. (Tent foil over top of bread if bread is getting too dark). 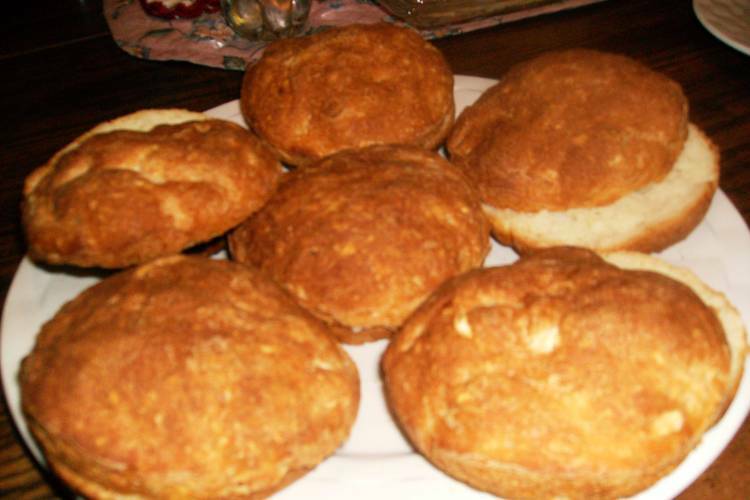 This recipe can also be used for 6-8 hamburger buns just divide batter evenly in greased mini cake pans and bake for about 20 – 25 minutes or until the internal temp is 210 degrees. Cool and enjoy. I wrap my bread in waxed paper and put it in Rubbermaid Bread Keeper to store it. I tried keeping it in the refrigerator but it seems to dry out quicker and I end up turning some of it to croutons or bread crumbs. Also, I discovered, as one of my batches overflowed the sides of a pan and dropped to the baking sheet below that you can spoon the batter onto a greased cookie sheet, let rise and bake for dinner rolls/buns. Sometimes we have happy accidents! 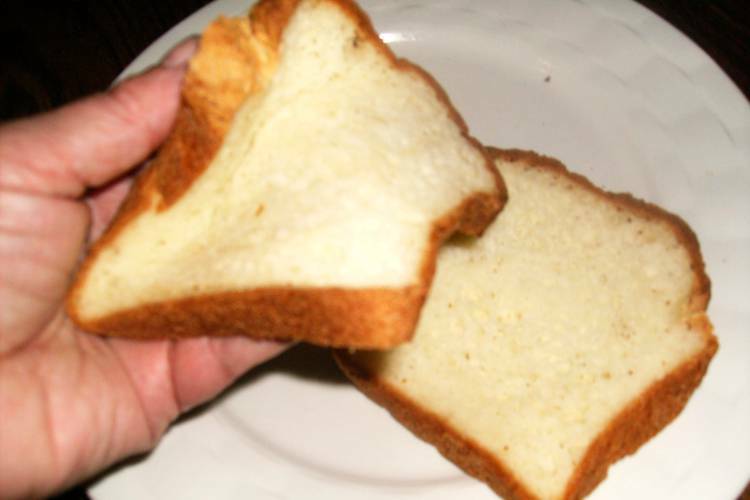 **NOTE: Gluten free bread definitely has a short shelf life compared to the preservative filled breads you find in the supermarket, and I just abhor waste, so I’m thinking that I can try taking cutting the leftover bread ends into cubes and air drying them to use in other ways. 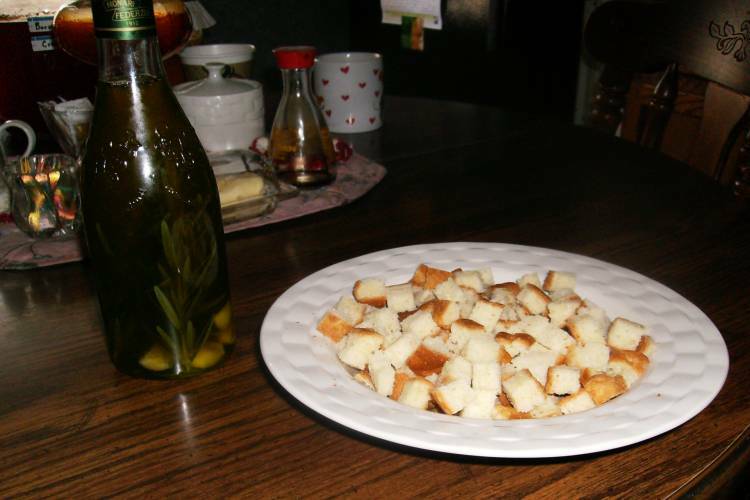 Perhaps once the cubes are dry, tossing them with some herbed olive oil, sprinkling them with sea salt and browning them in the oven on a baking sheet for salad croutons or perhaps using them for a savory stuffing. STAY TUNED!